Now that the ice is (hopefully) melting and we wont see any more tundra type weather (hopefully) for months and months away, it is time to heat up Port Huron with some REAL PUNK ROCK-n-ROLL! On Saturday, April 18th Smashin' Transistors intends to do just that by presenting our first installment of live show fun for the warm season. 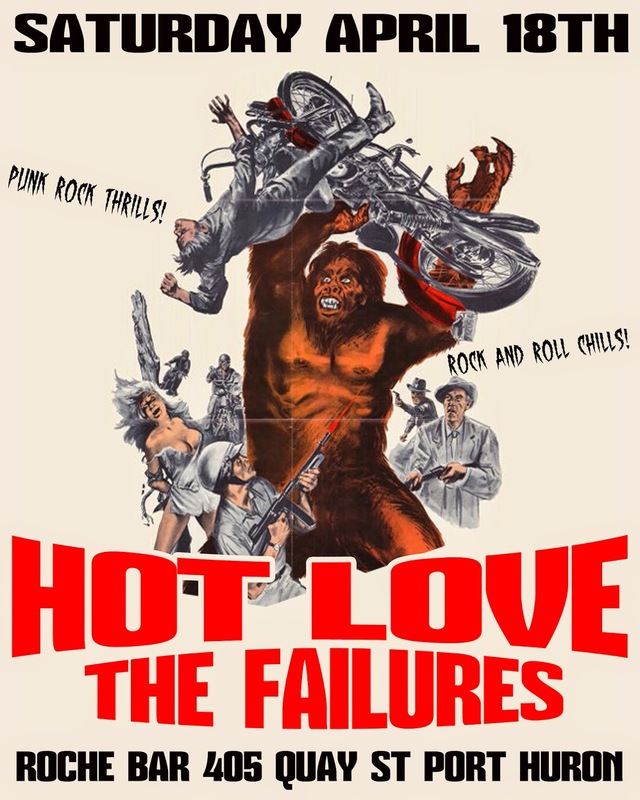 From Ohio, Hot Love will be getting up to get down and shake some rock action that is one part space cased new wave, one part basement party garage rock groovin' and 100% a blast. Fueled by caffeine, fried chicken and beer, Port Huron punk rock desperado's the Failures will be revving up their engine and firing on all 8 cylinders all in the name of having a good time. Find out more by checking the Facebook event page. Good to see the Roche is taking a break from the awful djs for a night. The BRAINSTEMS "Ego Death Demos"